The earliest reliable wireless link between North America and Asia was established by the Marconi Company around 1914. 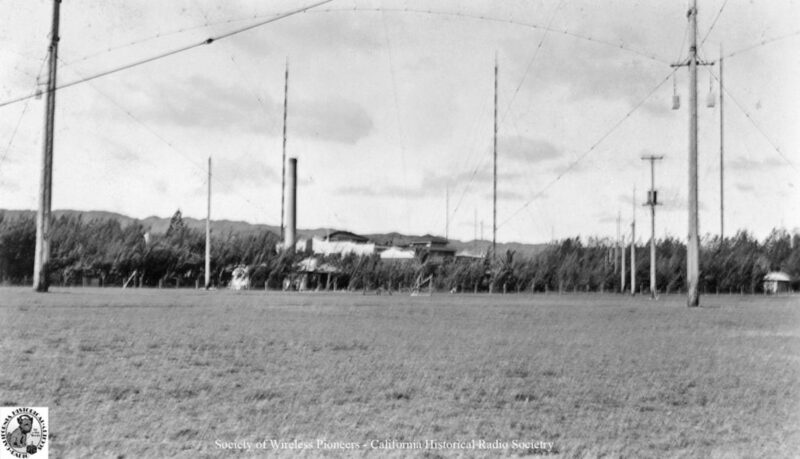 Transmissions would be sent by spark from their high-power station at Bolinas, California (with receiving station at Marshall, CA) to a receiving station at Koko Head on the Hawaiian island of Oahu. These would be relayed by wire to another Marconi high-power spark station at Kahuku, Oahu which would, in turn, relay the message to Japan. Over a century later, little of the Kahuku station, modernized (originally with an Alexanderson alternator), damaged by a tsunami in 1946, and used by RCA until 1978, remains standing. The site, however, has been placed on the National Register of Historic Places and remaining buildings are scheduled to be restored. Through the courtesy of the new owner and his agents, Deputy Archivist Bob Rydzewski was able to visit the site recently. 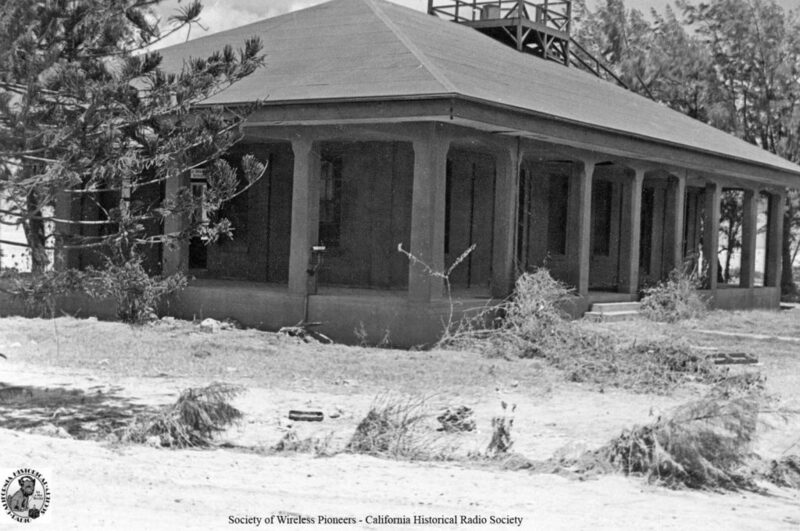 What follows, then, is a compilation of photos of the Marconi/RCA station at beautiful Kahuku, Hawaii “then and now.” Many of the “then” photos are courtesy of SoWP members Henry Dickow, Leslie Grogan, and Hedley Morris. 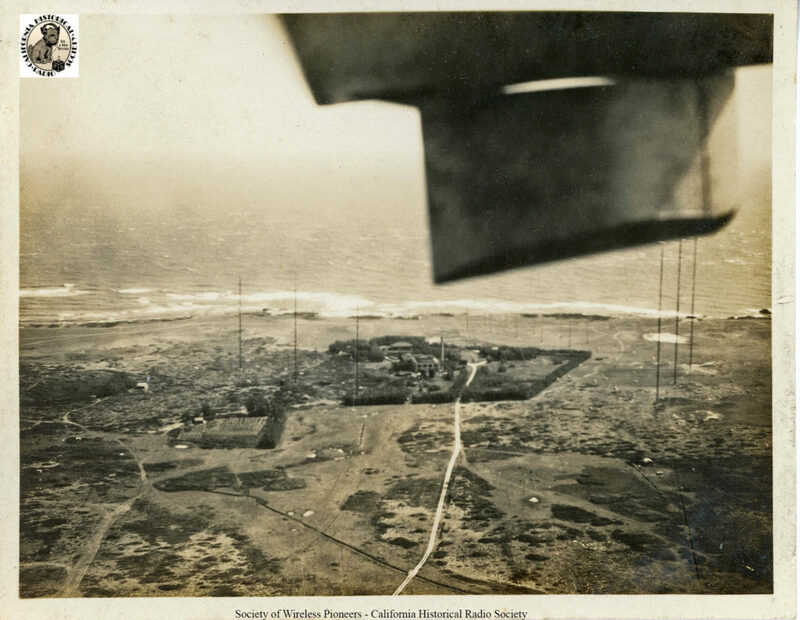 Aerial view of the Marconi Kahuku station, 1917. 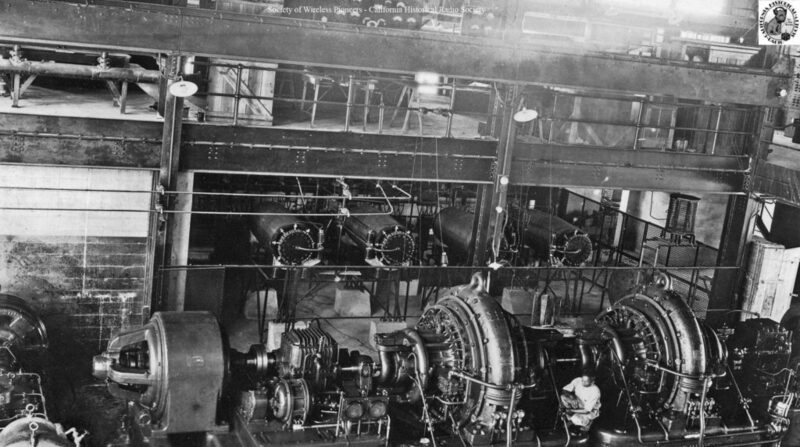 Corner of transmitter room and powerhouse, 1917. 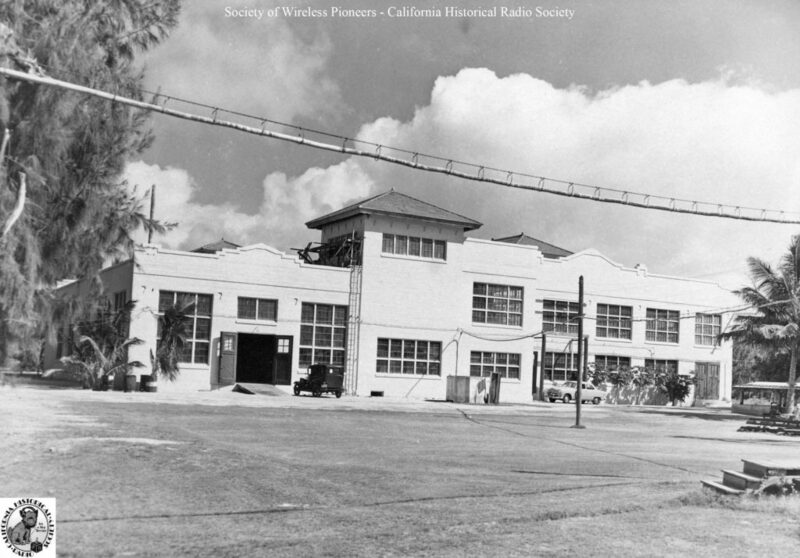 Powerhouse, KIE, Kahuku, Hawaii, in 1935. 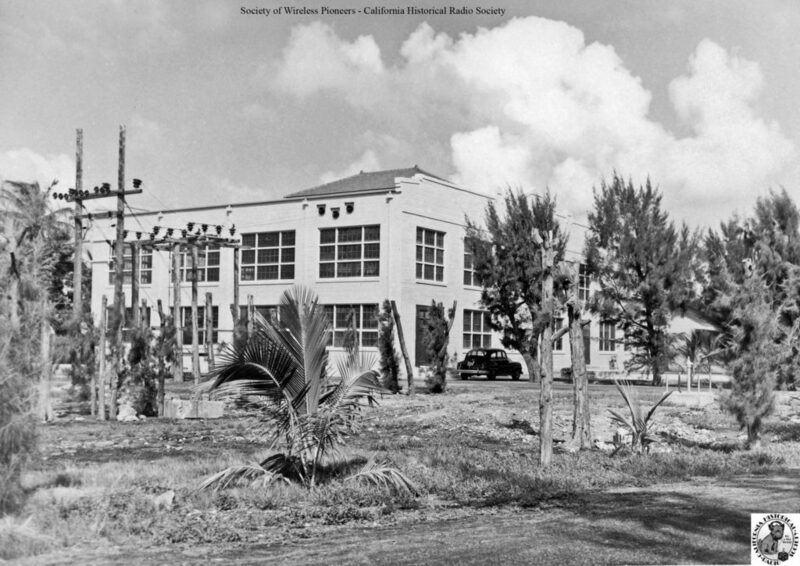 RCA’s KIE powerhouse at Kahuku in the 1950s. Another view of KIE powerhouse, 1950s.